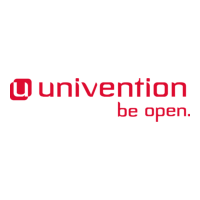 Univention Corporate Server now offers an edition that can be used freely for commercial purposes: the new UCS Core Edition. It replaces the previous "free for personal use" license and allows administrators in companies to use UCS without the need to purchase commercial subscriptions. Users who do not want professional support, longer product life cycles and product liability, can still enjoy UCS' extensive technical features. Of course, regular security updates and upgrade possibilities are also available for the UCS Core Edition. All three enterprise editions include "UCS Domain Services" for the first 10 users or clients within a domain by default - independent of the number of servers. In recent years, UCS has evolved more and more into an operation and management platform for enterprise software. With the publication of Core Edition, Univention are facilitating the use of UCS even more and increase the benefits for users and software vendors. UCS now turns into the free, open standard platform that makes the various IT technologies on the market combinable and easy-to-use: on-premises, in the cloud and hybrid. For more information please see the article "Univention Corporate Server for everyone" and contact CustomTech sales to discuss UCS for your projects.